Our hair salon are located at Lakeside Town Shops on the corner of Stirling Rd. and University Dr.
Inscape Beauty Salon is a family-owned business dedicated to providing excellence in our service! Our very own Garden Terrace. Gorgeous salon front view. Inscape Beauty Salon - Plants & products display area. Inscape Beauty Salon Reception Area - Rustic Chic Ambience. Relaxing atmosphere at Inscape. Surrounded by plants & wood materials; nature is everywhere. 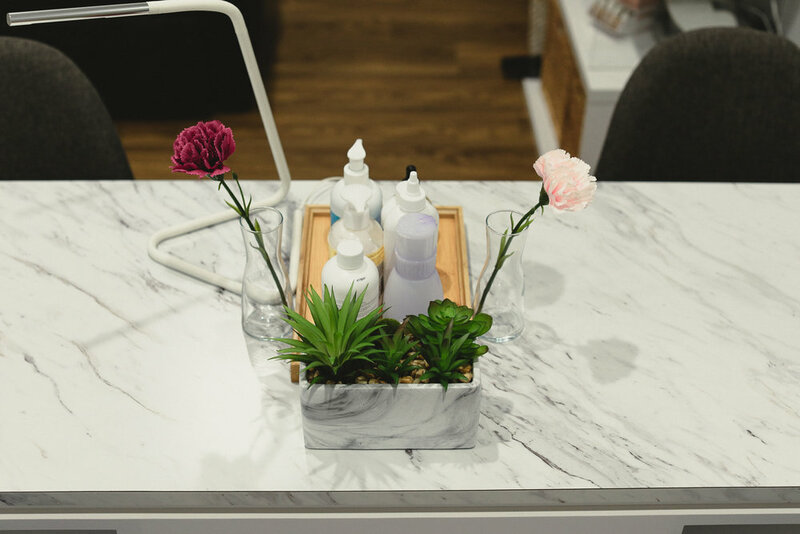 The best nail products at Inscape's Nail Bar. 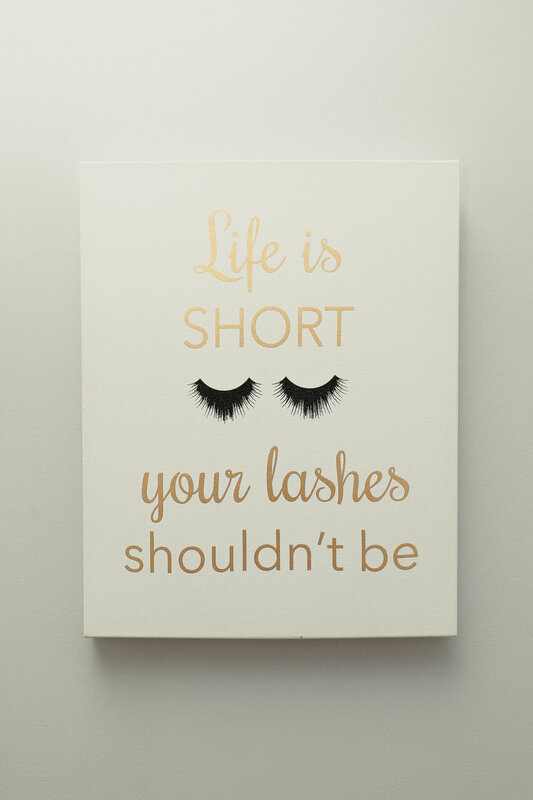 Individual Natural Eyelash Extensions by our very own Eyelash Specialist, Ruby. 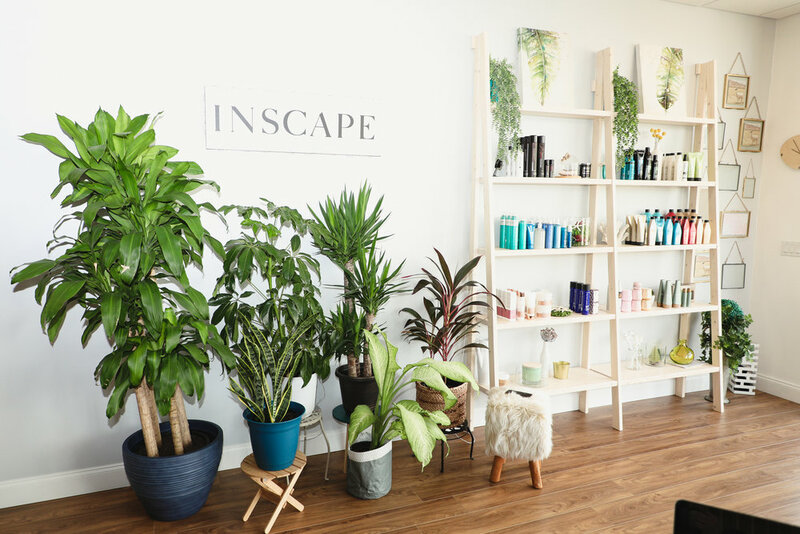 Enter into the Oasis at Inscape Beauty Salon. 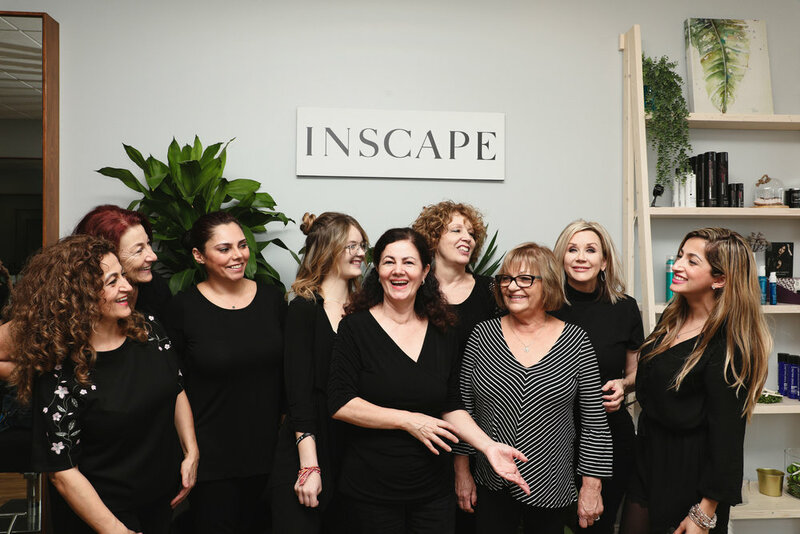 At Inscape, we believe that hair is an expression of who you are, and the state of your hairstyle and your mood often go hand in hand. When you get a new hairstyle, you unlock this new personality you’ve been craving to let loose. When you look in the mirror, you see a different person – and you actually become that different person. It’s a very simple thing that can lead to a real change. At Inscape, we aim to provide you with the expertise to bring the dream hairstyle you have imagined, to life. Our colorists are truly second-to-none professionals who work magic from a clean slate and can correct discolored hair. Our greatest claim-to-fame is that we tailor-make your hairstyle to match the shape of your face and your personality. And we’ll always give you our best customized recommendations for top-shelf premium beauty products that will help you keep it look better than great between visits. You deserve the confidence of true, breathtaking beauty – and that can be yours when you visit Inscape. Get the beautiful hair you deserve! 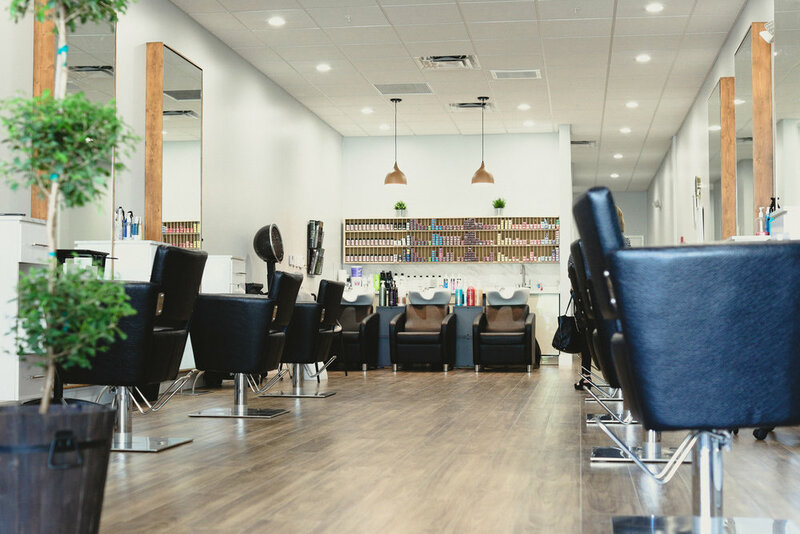 Join an amazing team in a Brand New and Thriving Salon. 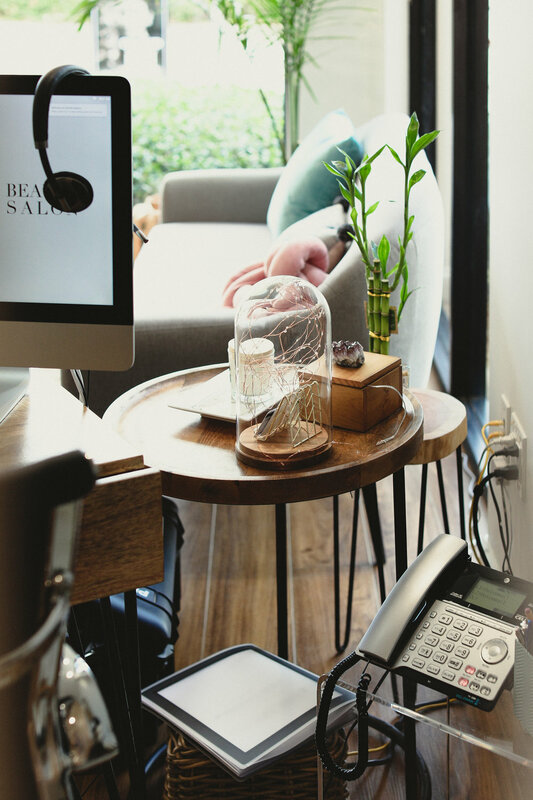 We offer attractive incentives with a large resting area dedicated to all employees, an owner and manager involved on a daily basis and equally distributed daily new clients among every service provider.